Disc One is representative of her full band, culled from the live recording of a concert. 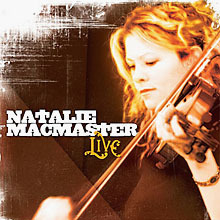 Disc Two features Natalie playing for a square dance in rural Cape Breton at the Glencoe Mills Hall. Lively music with Dave MacIsaac on Guitar and Joel Chiasson on Piano.